WISMEC SINUOUS P80 Kit is a compact starter kit that packs a Sinuous P80 Box Mod and a 2ml Elabo Mini tank. The Sinuous P80 mod is powered by single 18650 battery with 80W max output power. The Elabo Mini comes with powerful WS head that delivers large vapor and great flavor. WISMEC SINUOUS P80 Kit is a stylish vaping device after original SINUOUS RAVAGE230. Powered by a single external 18650 battery, the SINUOUS P80 supports max 80W power and various working modes. It features centered 510 spring loaded connector, hidden fire button, changeable indicator lights and max 2A fast USB charging. 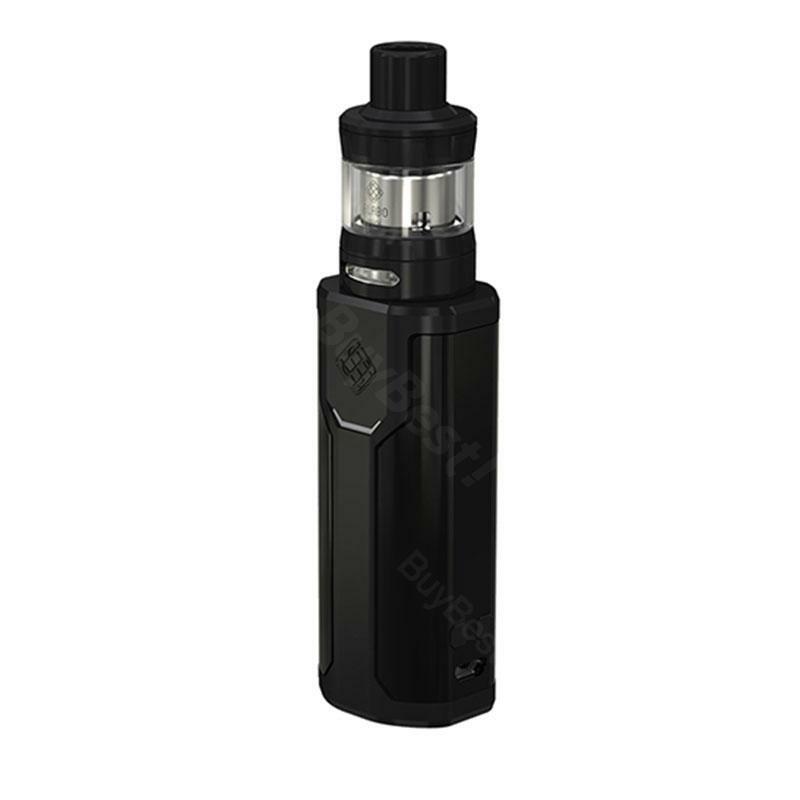 The 2ml Elabo Mini tank adopts convenient slide-top fill & child lock system and adjustable bottom airflow. With powerful WS coils, the SINUOUS P80 and Elabo Mini as a whole provides you with wonderful vaping experience. • It doesn't come with liquids or 18650 Battery, you shall buy them separately. • You can buy SINUOUS P80 MOD, Elabo Mini and replacement coil. I give SINUOUS P80 5 stars. I love this kit, perfect!